Congratulations. You’re a proud owner of a Lab puppy! 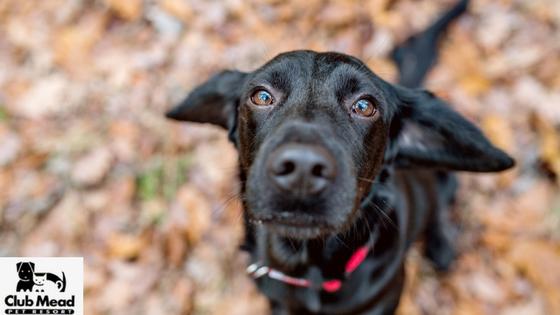 While you may be excited and bustling with happiness, you might also have questions about what to do next with your beloved pup. One of the best ways to get started is to train your Lab to be obedient to listen and comprehend your instructions. You should include basic commands like sit, stand, heel, stay, come, and down right from the beginning so that they grow up learning to be smart and calm. Training your puppy can be an enriching and rewarding experience for both your Lab and yourself. Labradors are an intelligent breed who are eager to please their family members. This nature makes them gifted and willing students. You must begin the training as soon as possible because your cute adorable pup will grow up too quickly into a powerful and exciting dog who might be difficult to train and control at later stages. Start with training your little pup about the daily swing of things. This can include knowing where to eat food and drink water, learning where he sleeps, potty training, and knowing what toys belong to him. Also, before beginning your training, make sure to finalize a method as you must keep it consistent over the years. Positive reinforcement works really well with Lab puppies rather than punishments and negative reinforcements. The learning sessions shouldn’t be more than 5 minutes initially and should be conducted in a room with minimum distractions. Always pick a time after your dog’s exercise for better attention and retention. You need not train your dog every day, just a few days a week should be enough. They should be allowed to learn at their own pace and gain understanding without being confused. Times to avoid practice lessons include just after his meal, when he shows too much energy, in the presence of guests and when he hasn’t got enough rest or sleep. Using treats effectively can also go a long way in training your puppy smartly. You can offer special goodies that he does not have like some amazing dog treats or a really nice toy. Remember to only reward him when he follows some command correctly. Make sure you use the perfect combination of verbal commands and hand signals so that your pup can associate the sound and visual with the instruction you are trying to give. For instance, when you’re teaching the command down, point your finger to the floor and say the word ‘down’ in a firm voice at the same time. When you repeat this combination every time, your pooch will be able to follow the instruction perfectly. Indulge in a little puppy socialization as it is vital for the growth and exposure of your Lab pup. This will help them be comfortable with other animals and our world in general. You will thoroughly enjoy the process of training your puppy as they are quick learners. By caring for them and training them in a positive, and non-violent effective manner, you will surely have a pet dog that everyone loves!